My first year gardening with Papa has been a bittersweet one. 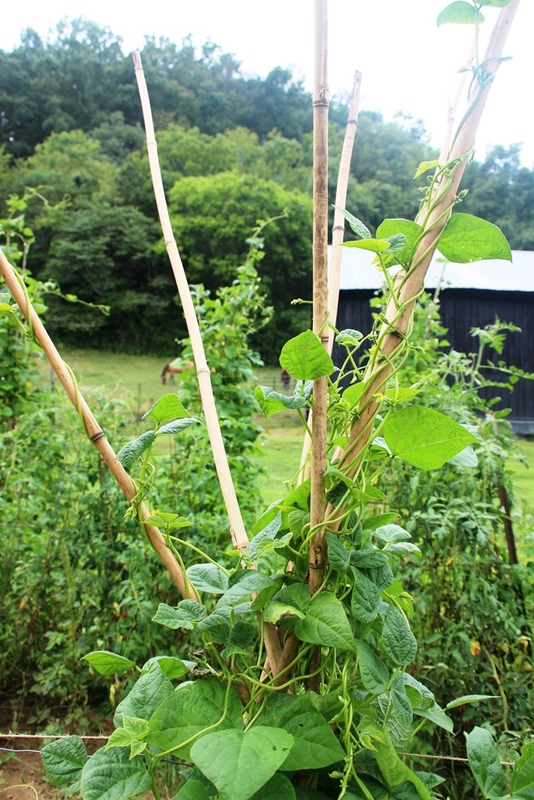 I began the season excited about finding the Partridge head beans in the deep freeze and eager to learn from Papa. While I have learned a lot from Papa, the greatest lesson that I will take away from this year is that no matter how much you plan and prepare your garden, without regular rain, a garden will suffer. Mother Nature fascinates me. 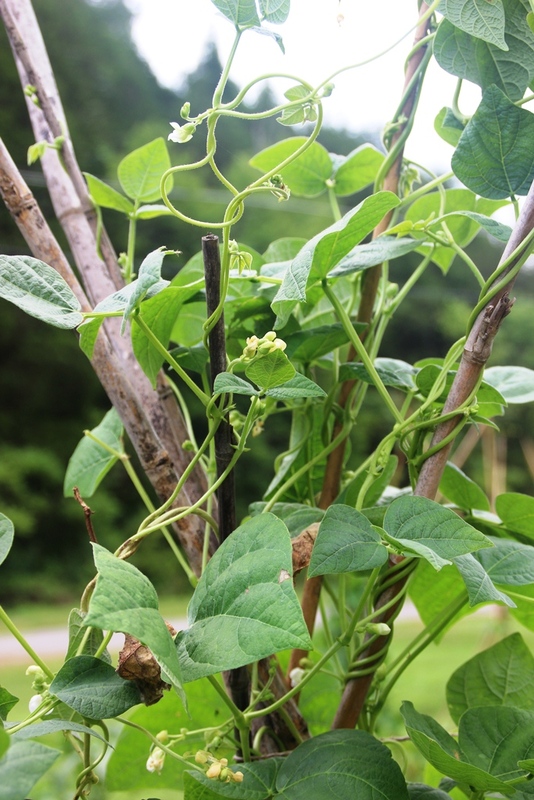 Seeing many enormous pole bean plants grow from single beans boggles my mind and yet, while those plants are impressive, many have yet to produce any beans this year due to the lack of rain. I had one small harvest of Partridge head beans that yielded about 2 servings. 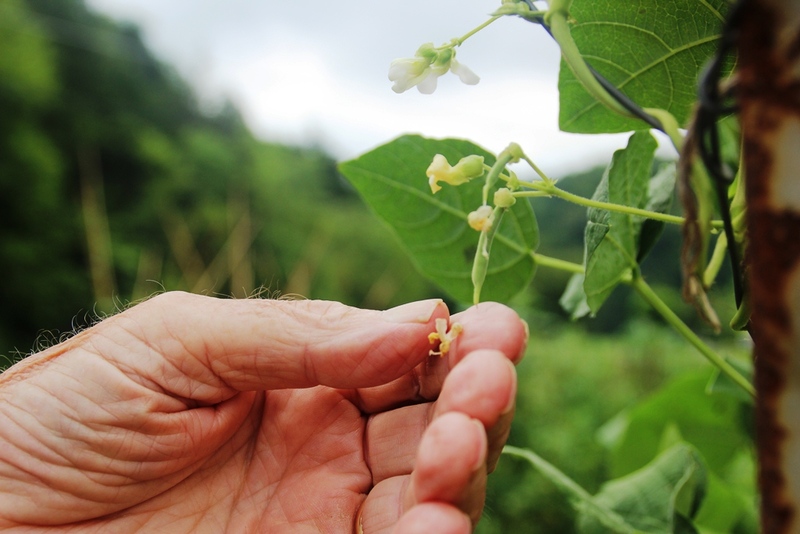 Right now, there are a few blooms on the plants and some very, very small, almost microscopic beans, one of which Papa is holding out for you to see. 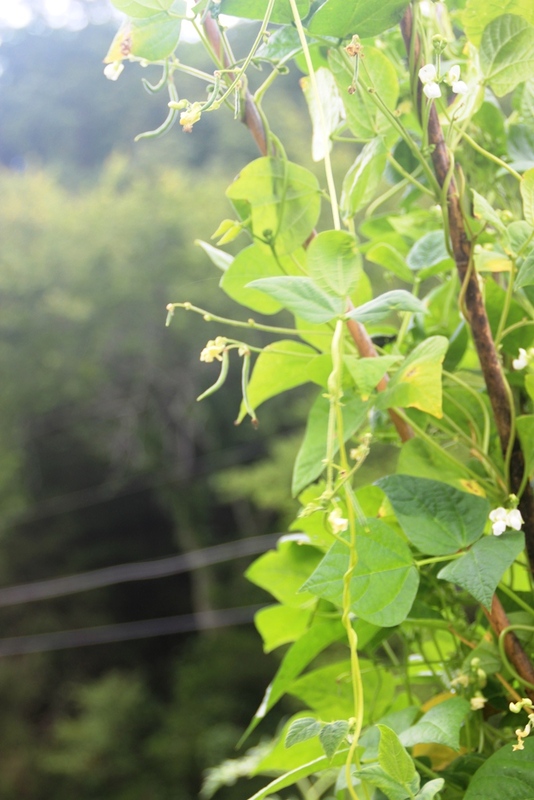 Lots of leaves and small blooms, but remarkably few beans for this point in the season. I’m hoping there will be a late crop. 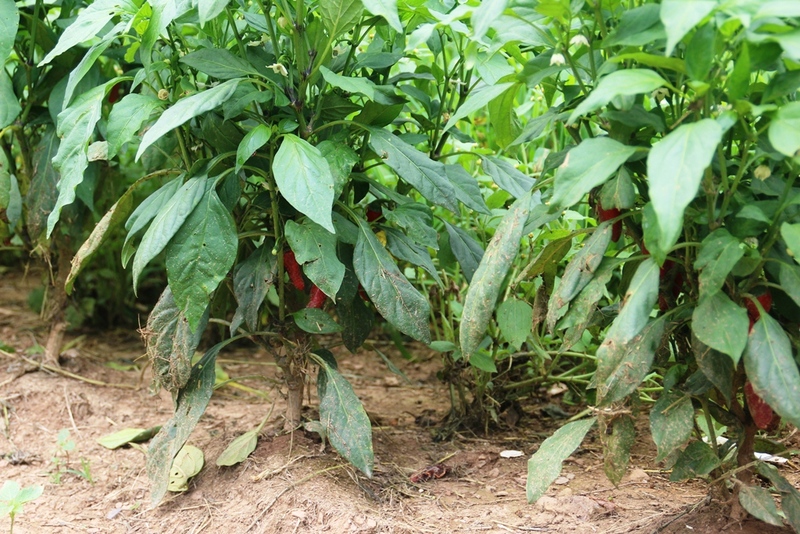 The only plants that have thrived in the extremely dry conditions are the peppers. 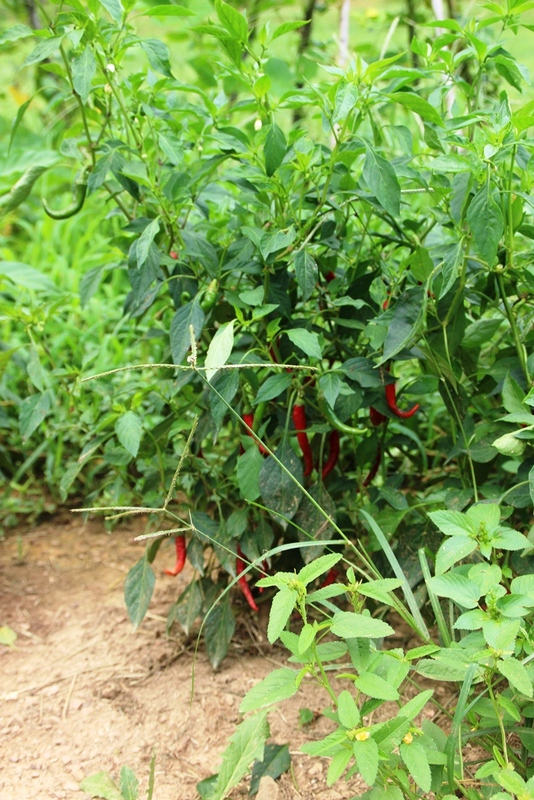 These Cayenne are smokin’ hot. These Jalapenos might be shy under the plant leaves but they sure aren’t shy once they hit your tongue. 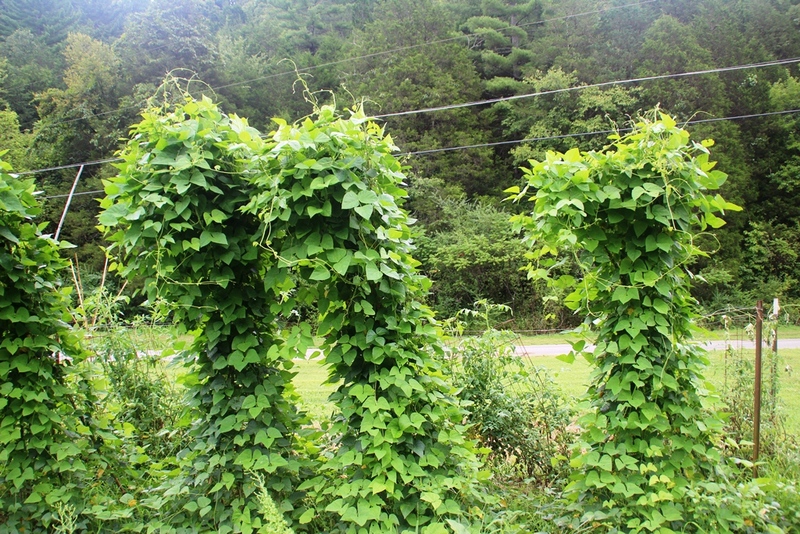 Usually these plants are just bursting with beans at this point in the season. 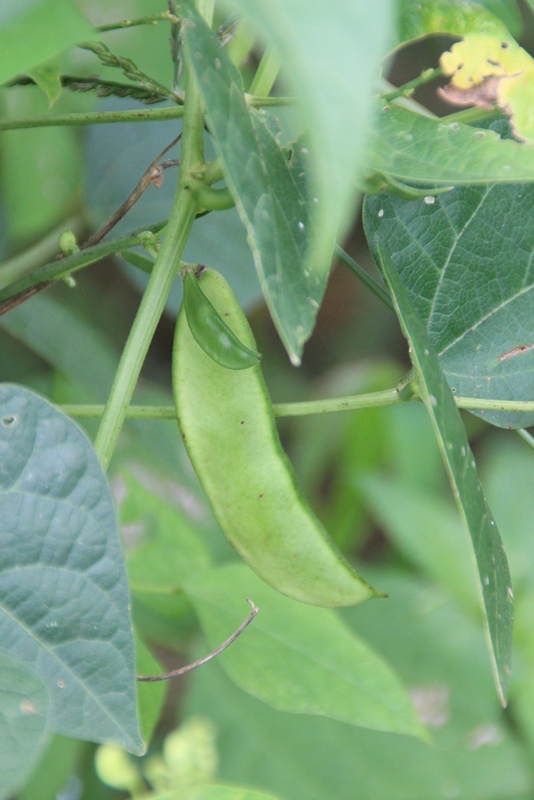 These are the only two bean pods that I spotted on all of the speckled Lima plants. I am really hoping that these produce as well as I sure love me some butter beans. The half-runners don’t look very mature either. These are about the size of toothpicks. 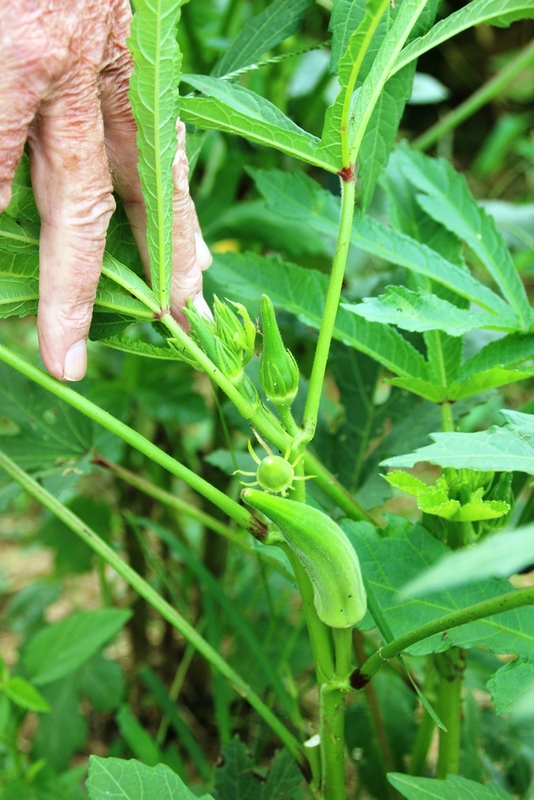 The okra is starting to develop. I’m not quite sold on this vegetable. While it is delicious fried, it can also be quite slimy and stringy. I just don’t know about that. 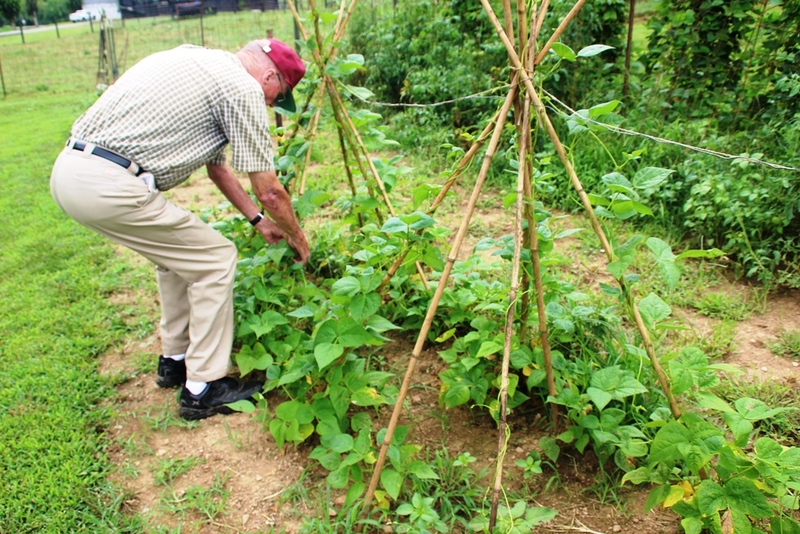 Papa realized after the garden was started that we had forgotten to plant Missouri Wonders, some of his favorite beans. So Papa planted a few hills where the early onions were. 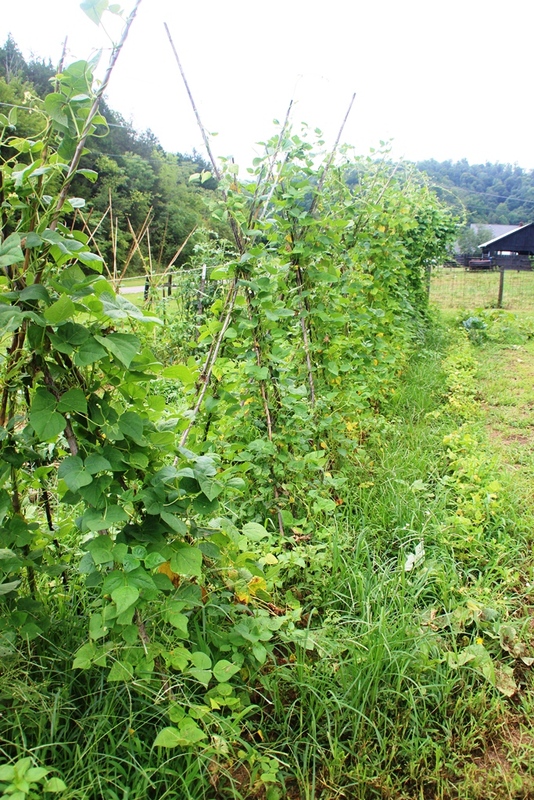 These have sprouted amazingly quickly since they were planted after the heart of the drought and enjoyed much of the steady rain that we’ve had the past few weeks. I bet these will be the most prolific of all of the plants. 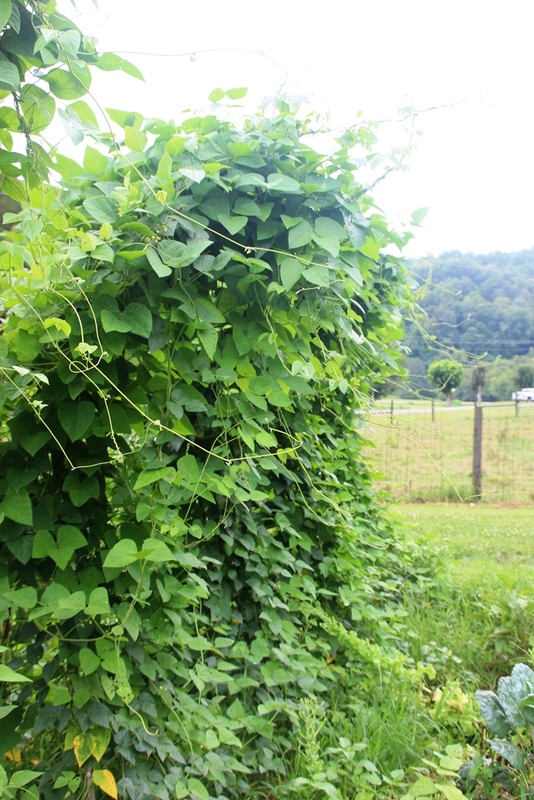 I wonder how much these vines can grow in a day? It seems like Papa just planted them a few weeks back and they are already taller than I am. Amazing. With more regular rain forecasted for the next few weeks, I hope my next visit to the garden will require buckets so I can collect all kinds of beans. I wish I had planted some snap peas! Next year for sure. Sending you some rain. Hope your much needed rain will arrive soon and you can collect bucket of beans. It wasn’t a good year for a garden, that’s for sure! We planted sweet corn (20 rows), green beans, peas, tomatoes, cucumbers, red peppers, green peppers, and watermelon. All we ended up with was 4 tomatoes! Hope you have better luck than we did! Oh no! So sorry to hear that. We had a little bit more out of the garden but it has been a very unproductive year.